The world of ecommerce is constantly evolving, and if you own an online store you’ve got no other option but to keep up with its pace. Consumer behaviors are changing and becoming more sophisticated. Some things that have worked for many ecommerce stores just a few years ago can now be seen by users as obsolete. However, most website owners are reluctant to changes that put them on a slippery slope of imminent losses. We’ve compiled a list of the most common things that might be wrong with your online store. Those can truly be called mortal ecommerce sins so if you find that any of them applicable to your business ­­– it’s time to start changing. The importance of website load time shouldn’t be underestimated. Just think about these figures: every 1-second delay in page load time decreases conversions by 7%, and leads to an 11% drop in page views. With every second users have to wait for your website to load they become more dissatisfied. 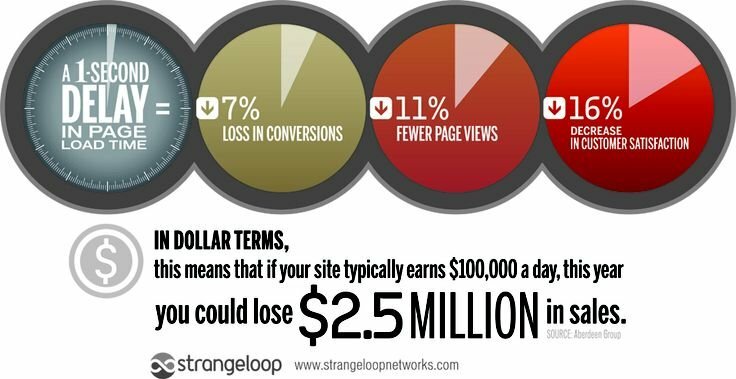 If your store generates daily revenue of around $10,000 you might lose a whopping $250,000 annually only due to the fact that your site doesn’t load fast enough. Although it may sometimes be tricky to identify why your website is running slow, as there are many factors contributing to hosting speed, the good news is that there are quite a few things you can do to troubleshoot it. First of all, check out your server capacity and performance. If your daily page views are increasing there’s no point in saving money on website hosting. Another way to increase website performance is by using CDNs (content delivery networks). They are especially helpful if you have an international audience, or your business operations are located abroad. If it’s not an outside issue that has to do with your hosting provider, dig into your website. The last thing you might think of changing is code. However, it’s bad or extra code that can be slowing your website down. If you don’t want to mess with it, leave it to professionals. Image optimization is another thing. 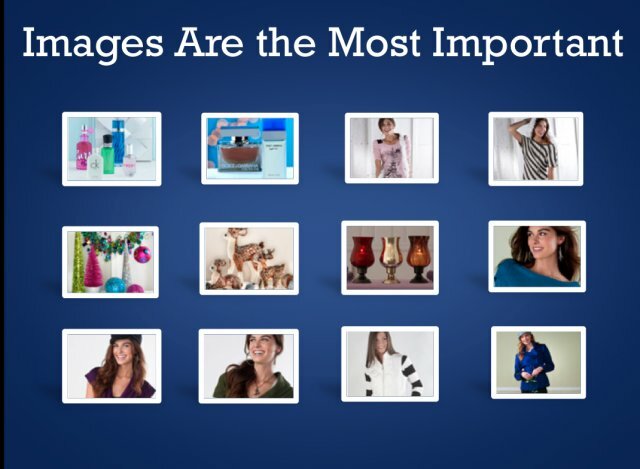 Images consume an average of 63% of website’s bandwidth and if they’re not optimized you website will run slow. Check out this article on image optimization for a few helpful tips. One of the biggest mistakes you can make as a website owner is to assume your visitor will spend time figuring out how to order from you. No one will. Internet users want website navigation to be simple and intuitive. If you fail in making it so, you shouldn’t be surprised with high abandonment figures. Flash-based websites tend to be among the worst when it comes to navigation. We’ve already addressed the issue of why you shouldn’t use Flash anymore, so we won’t put any particular emphasis on it now. Have you ever heard of the “3-clicks rule?” It implies that a visitor should only make 3 clicks to complete a purchase through any website. Are the key pages of your website easy to? Do you have visible and appropriate call-to-action buttons? Do you have any links to pages that no longer exist? Are your menus intuitive to an outsider? You know where you should go to complete the purchase on your website, but is this path obvious to a newcomer? Complicated checkout is another common issue worth outlining. The less information you ask on checkout the better as in many cases your visitors won’t have either time or desire to fill in a complicated checkout form. Every extra step the user has to take upon checkout and every extra information field that has to be filled in, increases cart abandonment risk. Moreover, a whooping 25% of customers will abandon a cart if forced to sign up, so it’s definitely a practice you should avoid. Do you know your target audience well enough? Most business owners and marketers would answer this question positively. But does your target audience like the way your website looks? A study by Dr. Elizabeth Silence revealed that as many as 94% of respondents would leave a website if they were uncomfortable with the way it looked. These figures really make one think about having an up-to-date design, don’t they? Back in 2006 Interactive Advertising Bureau CEO Greg Stuart estimated US companies alone to waste as much as $112 billion on ads that didn’t reach their audience. In 2009 ComScore conducted a study of US brand campaigns with budgets below $2 million. It revealed that up to 80% of the impressions they received were delivered to the wrong audience. So even if you know who your target audience is, doesn’t mean your marketing campaigns are reaching it. If you’re running Facebook Ad campaigns, the best way to go is to target your fans. A research by TGB Digital revealed that targeting fans increased conversions by 400%. So for Facebook campaigns it’s best to aim for growing your audience first and then advertising to it. Another equally important thing is testing ad images before putting a large campaign on air. In a research of Facebook ads performance conducted by Webtrends, users were asked to pick an image that suited a given ad best. Would you believe they picked the one with festive decorations? If you’re running targeted campaigns it’s always best to split test them. Too much information here is never enough. You need to gain the data of every action users take on your website, enable ecommerce goals and tracking and track everything you possibly can to find out what’s working and what isn’t. 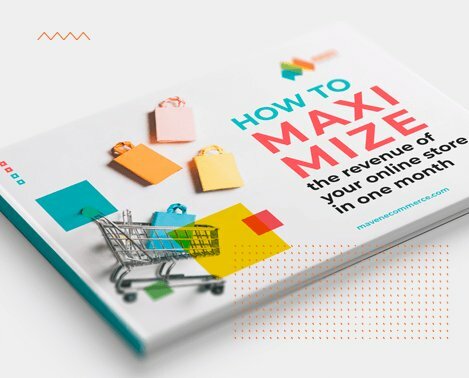 Returning customers will convert better and will spend more money in your online store, so if you don’t have a retention strategy you’re bound to keep spending more and more money on acquisition (which is always more expensive). Luckily, there are quite a few ways to make your customers want to return. The most important, of course, is excellent service, maintenance and troubleshooting. Discounts and promotions won’t increase loyalty if your service is poor. Other customer retention tricks you should utilize include abandoned cart/browse e-mails, loyalty and reward programs and partnerships. We’ll have more on them in one of our next blog posts. We’ve already stressed the importance of optimizing a website for mobile devices in our previous articles. To cut the long story short, if you’re not providing a mobile experience to your users your website will have lower ranks in Google and you’ll miss out on quite a few purchases. Over a half of search traffic comes from mobile devices and if your website isn’t responsive, one of three shoppers will leave it without completing a purchase. We’re living in the mobile era where a responsive website is no longer a luxury, but a necessity. If you have any questions about anything I’ve mentioned in this blog post or anything else related to Magento, please feel free to drop me a message via this form. I am on the team performing Magento optimization for large Magento projects.